Your mind really is a clever little chap. It’s quite surreal how, when presented with limited visual information, it has the ability to help you see through solid objects, as well as fill in the hidden detail and help you identify the object. A round of applause please. How clever is your mind? We can test it quite easily. 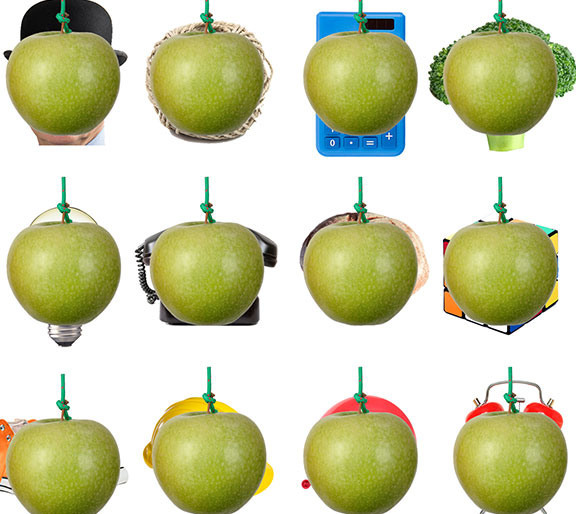 Can you work out what the images are obscured behind the large green apple? We’re expecting at least 10/12 from everyone. Want another challenge? Try it out at home with your favourite fruit or veg pics.